Now a regular session at IIeX NA, I’m delighted to introduce you to the speakers taking part in the New Speaker Track! These folks have never spoken at a conference before so let’s give them a hearty hello and welcome! Today we meet Bethan Turner, Head of Data Insights at Honeycomb Analytics. Find Bethan on LinkedIn. Why have you never spoken at a conference before? I’ve only really spoken at smaller events before, and the feedback and interest I’ve been getting from the audiences there made me believe I might have something worth sharing at a bigger conference. So, when the opportunity came along, I went for it! What would you say/recommend to other people who have never spoken at a conference before? Go for it! The audience is there because they want to hear what YOU have to say. Why do you want to speak at IIeX? I think it’ll be a great experience to speak alongside some of the most well-known names in the industry. 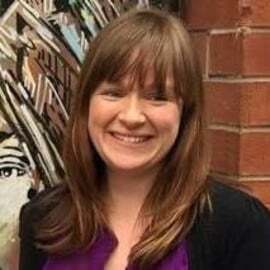 Bethan Turner is Head of Data Insights at Honeycomb Analytics. With a background in Maths and Stats, she started (and abandoned) a PhD after being told she was “too real-world minded”. Since then, she has used her analysis skills to understand what people think, and why they do what they do, in the real world. She has always worked in analysis in market research, but has recently set up a data science agency which focuses on bridging the gap between research and analytics. Data science has entered the market research world in a big way. Though it seems like everyone is and should be using it, that’s simply not the case. In this presentation, learn how and when you should fuse big data and traditional market research to deliver richer, more insightful stories that have a greater impact for clients. We’ll specifically discuss considerations for combining the methodologies including why it isn’t always the best idea, what to consider once you’ve decided data science is the right direction to take, and examples of when it’s gone well when combined with traditional market research.